Music is capable of influencing our lives, changing our emotions and motivating us to do things. That’s why we use music in our videos and other productions – without music, our creations would seem a bit lifeless. Most people use royalty-free music to avoid the problems associated with copyright. However, this term is used differently across the world. Even different companies who offer ‘royalty-free’ music can mean different things when they use the term. So we’d like to clarify the situation. First, let’s look at the term ‘royalty-free’. Obviously, it means that the item covered by the term (whether that is music, images, articles or any other copyrighted material) can be used without having to pay any fees or ‘royalties’. When you hear this, you might think ‘Wow! It’s free? That’s so cool – where do I get it from?’ Some people start visiting royalty-free music websites, download music or demos from these websites, and start using the music in their projects – videos or movies, for example. But wait! It’s not quite as easy as that. Royalty-free music is not free music. Let’s start with the basic principles. First of all: any piece of music or sound recording has an author or a copyright holder. They are the only people who can do whatever they like with that music. Anyone else would always require permission (in the form of a license) from them – or their legal representatives – to use that music. If the author is a friend of yours, then you’re in luck – they’ll probably give you this license for free. Unfortunately, this isn’t usually the case, so you’d have to purchase the license and pay an initial fee (at least) for the right to use the music. Some licenses give the user a variety of different rights; others can be limited to just a few. 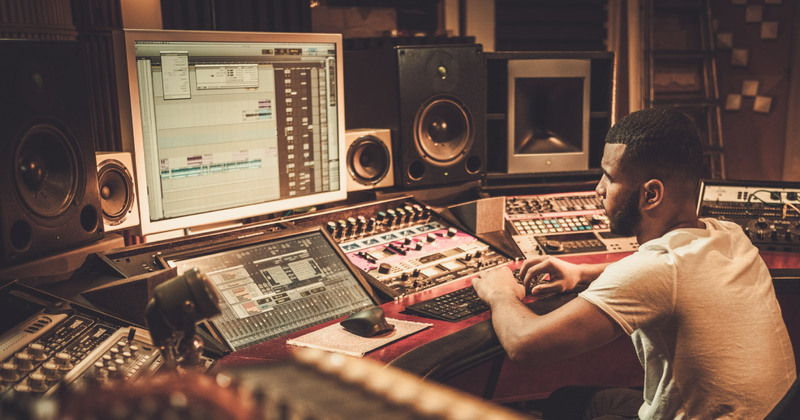 The music industry often offers ‘per use’, ‘per project’ or ‘per period’ licenses, which limit the user quite considerably – and means that they would have to periodically purchase the license again and again. Of course, that’s not a problem for big companies with big budgets. However, for most creative folk or small businesses, it would be both expensive and inconvenient to constantly have to keep track of the license’s expiration date – or to calculate how many times the music has been used. Well, what is Royalty Free Music? That’s where royalty-free music comes into its own. It offers a simple solution whereby users can simply pay a one-off initial fee for the right to use the music. There are no further fees associated with the use of the music after the license has been purchased. Normally, you can use it for as long as you want, within the conditions of the license purchased. That’s the basic principle of royalty-free licenses. Of course, licenses like these can differ and include different rights – such as allowing a different number of uses. This depends on the website or service used to purchase the music. However, they almost always have one basic principle in common: a one-off fee and no further fees (subject to the conditions of the license). There is one important exception in royalty free music licensing you need to know about. Usually these licenses do not include "public performance" rights. Nevertheless, you don't have to worry about that. You can still use the music in broadcast / public performance productions without paying any public performance royalties. How is that possible? Well, almost all broadcasters as well as companies that play music in public places (TV/Radio networks, cinemas, restaurants etc.) are required to pay license fees to Performing Rights Organizations (like ASCAP, BMI, SOCAN, PRS) for the right to broadcast or play (publicly perform) any music. So the actual fees are paid by broadcasters and, in most cases, it costs producers and their clients nothing. Therefore, royalty free licenses cover the right to use music in public performance projects (i.e. the right to use the music as background music to movies / videos that are to be broadcast on TV) and not the public performance right itself. Learn more about performing rights organizations and public performance. There are also terms such as ‘stock music’ or ‘production music’ in the music licensing industry. They are often referred to as being similar to the royalty-free license model, but don’t actually offer the same benefits as royalty-free licenses. For example, production music tends to be offered on a pay-per-use or pay-per-project licensing model. The moral of the story? Please pay careful attention to the license’s terms and conditions. NeoSounds.com offers just a few simple, royalty-free music licenses, which cover all kinds of uses (videos, films, multimedia, games, websites, commercials, advertising, podcasts, etc.). These licenses allow you to use the music in as many of your productions as you want, as many times as you wish, for as long as you like. There’s no ‘per use’, ‘per project’ or any other periodical fees. Learn more.